David has lived and worked in Brussels since 2010. He has coordinated and taught courses on English for Law and EU multilingualism/translation policy since 2011 at the Faculty of Law and Criminology, Université Libre de Bruxelles. He is also a contributing lecturer on Roma 3 University Law Department’s Masters on “Law and the Humanities”, as well as being managing editor of EULETA’s upcoming new e-journal. He holds a degree in European Studies and a PhD in Italian Studies. He has taught Italian language, literature and cultural studies at the Universities of Cork, St Andrews, and Trinity College Dublin, and English language and translation at the Università degli studi di Napoli ‘l’Orientale’. He has published on 20th/21st-century Italian literature, is the editor and translator of The Language of Europe: Multilingualism and Translation in the EU Institutions, and has authored several essays in the field of EU [legal] translation and terminology. Franz is a trained lawyer and linguist who practices law as a founding partner of Alix Frank Rechtsanwälte GmbH in Vienna, Austria, focusing on domestic and international contract work, labor law, IP law and arbitration. 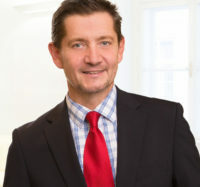 Working as a linguist, he is a court appointed and certified interpreter for English as well as a board member of the Austrian Association of Certified Court Interpreters and majority owner of TRANSLEX Büro für juristische Fachübersetzungen GmbH, the Austrian market leader for legal language translation. Since 1987 Franz has authored and published several books and various articles on the Anglo-American Legal System and Anglo-American Legal English. He developed and implemented law and language curricula for universities and bar associations under the label “Anglo-Amerikanische Rechtssprache – The Vienna Model” (which have been implemented inter alia at the law faculties of the Universities of Vienna and Graz) and established the “Vienna Legal Language Proficiency Certificate” (Vienna LLP) for lawyers and lawyer-linguists. Franz is a proud father of two daughters and lives in Vienna/Austria. Sofia is a qualified UK lawyer and former member of the New York Bar Association. She is now based in Italy where she trains lawyers, accountants and notaries through the Ordine dei Dottori Commercialisti e degli Esperti Contabili and the Ordine degli Avvocati. She has also taught law students at various universities, master courses and post -graduate courses. She also runs training courses for in-house Counsel (giuristi d’impresa), translators and other professionals. As Secretary Sofia provides administrative support for EULETA, including dealing with member relations and event-organising. Sophia is a Legal English trainer and language consultant; director of an authorised TOLES Exams center (Test of Legal English Skills) in St. Petersburg, Russia. Sophia also holds PhD in English and German, and works for the Leningrad State University. As Treasurer Sophia supervises the accounting and financial aspects of running EULETA. Louise is a British Legal English teacher with a first-class degree and master's in Law. Following university she worked in the legal field working on the development of international environmental law and in 2013 she retrained as an English teacher spending a year and a half teaching English in Brazil. 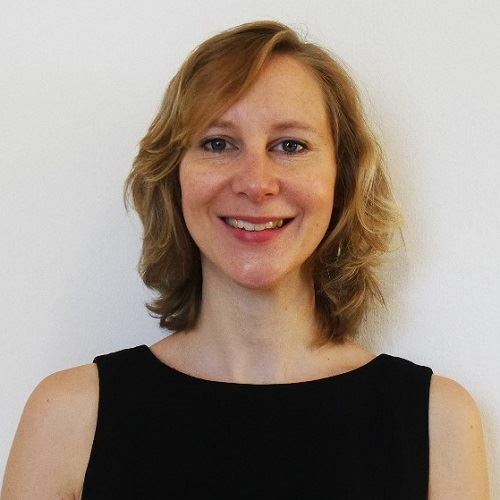 Subsequently she specialised in Legal English teaching and she now lives in Italy where she teaches Legal English and runs Study Legal English, a website which provides Legal English resources such as a podcast to Legal English learners around the world. As Communications Officer, Louise is in charge of all tech related matters including EULETA social media and the website. Mark Brophy was born in the UK and after graduating in Management Sciences from Manchester University spent a few years working in industry and IT in various locations in the UK. Adventure took him to Italy where he retrained as an English Teacher. After going freelance in the mid 90s he set up www.english-training.it in 2002 serving multinationals then branching out to teach Legal English in 2004. In 2012 he set up www.monzaLegal.com with students who attended the Legal English courses run with the local law society. He has served as a school governor for 7 years at the schools his children attend and is an active member of a local cultural society in Italy (www.omilia.it). Halina is a lawyer-linguist, expert in legal discourse and translator. Her PhD dissertation concerned designing and implementing courses of English for legal purposes and apart from teaching legal English she is interested in English for Specific Purposes (ESP), Content and Language Integrated Learning (CLIL) and team teaching. Halina is an Assistant Professor at the Białystok Legal English Centre, Faculty of Law, University of Białystok where she teaches and does her research. She has authored the Legal English textbook for law students, Legal English – Niezbędnik przyszłego prawnika, (which received the European Language Label 2013 award granted to the most innovative language learning projects in each EU country every year) and the monograph Curriculum Development for Legal English Programs published by Cambridge Scholars Publishing as well as a number of articles and reviews on teaching English for Specific Purposes and English for Legal Purposes. Matt teaches Legal English at the University of St. Gallen and holds regular training seminars for lawyers, judges, and businesspeople in Germany, Switzerland, and Austria. He has authored several online courses for TransLegal, where he works as Director of Production. His most recent project with TransLegal is the World Law Dictionary, a dictionary of law written primarily for lawyers working in English as a Lingua Franca. 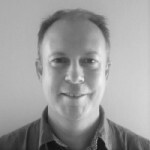 Matt’s other work includes running teacher training sessions and desigining materials design for Legal English. He has had several titles published by Cambridge University Press. These include Introduction to International Legal English, a series of teacher’s books in Academic English, and several sets of online workbooks. Matt is also a regular contributor for Business Spotlight. Adam is currently Head of International Accreditation at Zurich University of Applied Sciences (ZHAW), School of Management and Law (SML) in Switzerland. 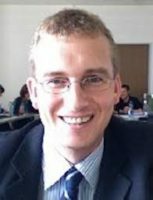 He received his Master of Arts in Teaching English to Speakers of Other Languages from Saint Michael’s College (Vermont, USA) in 2010, and has been with ZHAW since 2011 and continues to teach legal English. Adam has experience managing large teams of teachers tasked with developing the strategies and direction necessary for the continued success of their students. Among the greatest challenges are anticipating the technological and linguistic needs of students as they enter a rapidly evolving working environment. As a teacher, Adam is passionate about enabling autonomous learning among students and helping them develop the skills for overcoming the linguistic challenges they face in their careers and personal lives. As a manager, he aims to involve experts in future developments in language teaching and to support his team of teachers in their quests to provide effective and contemporary learning environments.